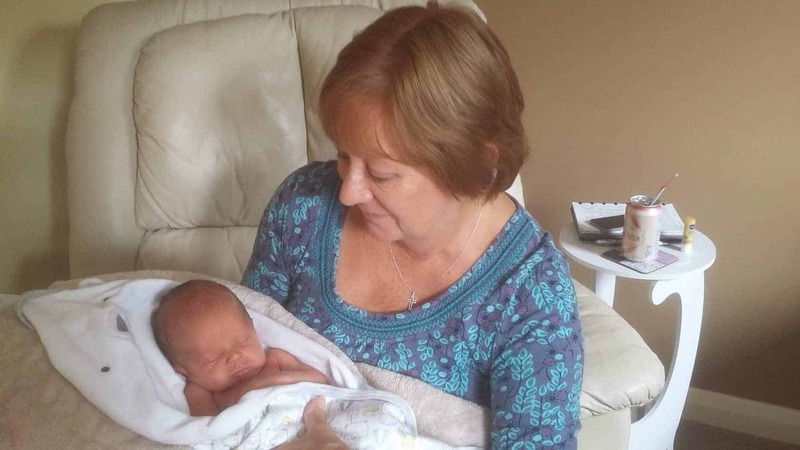 I have supported clients who have given birth at home, at the Royal Berkshire Hospital in Reading, the John Radcliffe Hospital in Oxford, Frimley Park Hospital in Frimley, Wexham Park Hospital in Slough and Basingstoke & North Hampshire Hospital in Basingstoke. I am happy to discuss your requirements wherever you live and wherever you plan to give birth. A little something about me – I am married to John and we have three grown-up children, plus five wonderful grandchildren, all living nearby. We live in Winnersh near Wokingham, and we have also lived in New Zealand (where our first son was born) and in Greece. My own birth experiences were all very different and I faced the challenges of postnatal depression following our second son’s birth. Now, with experience and life-skills, I believe that I can make a positive difference in the lives of expectant and new parents by giving both practical and emotional support specifically tailored to your individual requirements. When I first heard of doulas, I was immediately attracted to the whole concept of supporting parents-to-be during this exciting time of preparation and activity. My work has shown me that having a doula can make a huge difference to labour, birth and the busy time that follows. As your birth doula, I offer antenatal sessions for you to share your birth preferences and wishes, with ample time to prepare you (and your partner) for the birth of your baby. When your labour starts, I will join you when you ask me to, whether this is at home and moving on to hospital with you, or wherever you may be, or may wish to birth. I will stay with you until you are happy for me to leave, however long this may be. I will listen and respect your views at all times, and support you in any way I can. I won’t advise you but I will help you to learn all you wish to know in order to make informed decisions. I firmly believe that each woman and each birth is completely different and the experience will be totally personal to you. I believe that when a woman is well-informed and well-prepared for labour, she will be more able to trust her instincts and her belief in her ability to birth her baby. In practical terms, I can be contacted by telephone and email to offer support to you and your partner at all times during our contract. I have many books available for you to borrow, plus birthing aids you may find helpful. Postnatally, during those vital first weeks when mum and dad are getting to know their little one, time is very precious and there always seems to be so much to do. I believe that when new parents are well supported, both in practical and emotional terms, they will feel more relaxed and confident as they care for their baby. 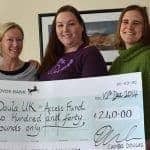 As your postnatal doula, I will endeavour to help in such a way that you will have more time to spend with your new baby and each other, and other children if you have them. As far as possible, I will visit at times and on days to suit you. I will do whatever I can to make your life easier (different things in different households) plus offer a listening ear if you need to share anything. Sometimes spending time debriefing the birth can be very helpful. You may wish to rest or spend time with other children while I care for the baby (be assured I will always follow your instructions and wishes). My aim is to be as flexible as possible so that you will feel rested and relaxed and more able to enjoy the changes and challenges a new baby brings to your lives. Choosing the right doula for you is an important decision and my initial visit to you is simply an opportunity to have an informal chat with no obligation to book me. I can come to your home or meet somewhere else to suit you. During my time with you, I seek to offer unconditional, non-judgemental reassurance and practical care. I recognise what a privilege it is to be asked to share this precious time with you. I usually travel within a 25 mile radius of Wokingham, but I warmly welcome all enquiries. I have worked with many couples for whom English is not their first language, and I enjoy learning about, appreciating and respecting different aspects of other nationalities and cultures. I learn something new with each new client and my clients have ranged in age from 21 to 51. If I can help you in any way, I will be pleased to do so. “Nurturing Birth” doula training course led by Kicki Hansard of Birth Bliss in November 2011. I can offer references from birth and postnatal clients if required. I am a user representative on the Maternity Voices Partnership at the Royal Berkshire Hospital, a forum that gives the opportunity to influence changes and improvements to current and future maternity services.